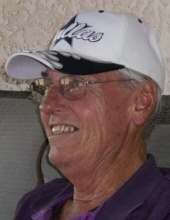 On Sunday, March 17, 2019, James Edward Kelly, loving husband, father of two, and grandfather of 4, passed away at the age 75 at Triple Army Medical Center, Honolulu, Hawaii. Jim was born on June 25, 1943, in Grand Junction, Colorado to Howard and Helen Olsen Kelly. He attended High School in Watertown, South Dakota where he met Velda Marie Gamill and after graduation, joined the United States Navy. Jim married Vel on August 15, 1964 in West Covina CA. and they were married for 54 years. Together, they raised a son, Christopher and a daughter, Lisa. Jim was a proud American and a Veteran of the Vietnam War. He spent 23 years in the US Navy and retired in 1985 in Honolulu, Hawaii. Jim would have extended his Navy career but chose retirement rather than leave his family for another US warship deployment. Jim had a passion for his wife, children, grandchildren, skiing and golf. When Jim wasn’t golfing, he spent his free time coaching, mentoring and fathering his children. Jim was known for his quick wit, devotion to his family and his honesty and integrity. Jim is survived by his wife, Velda, his two children, Christopher and Lisa, and his four grandchildren, Page, Hunter, Zachary and Chase. A memorial service will be held at Puchbowl National Cemetery on April 19, 2019 at 3:00 o’clock p.m. and a gathering will follow at La Mariana at 4:00 p.m. for any who would like to join us. In lieu of flowers, please make donations to the Gary Sinise Foundation in Jim’s name. To send flowers or a remembrance gift to the family of James Edward Kelly, please visit our Tribute Store. "Email Address" would like to share the life celebration of James Edward Kelly. Click on the "link" to go to share a favorite memory or leave a condolence message for the family.